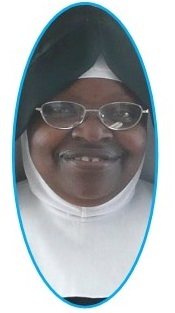 A nun is one who strives to become a living symbol of God’s WORD. In the concrete reality of life, visit this it means the common chores of maintaining the monastery, or caring for the needs of our sisters and guests. As a cenobitic community in the Benedictine tradition, we profess vows of Stability, Conversion of life, and Obedience. Our primary aim is to seek God through prayer and a simple desert spirituality. For St. Benedict and for us, the keys to te Kingdom of God are listening, watching, yearning, and loving all that we encounter as a response to God’s will for us. The charism of Our Lady of the Desert is a secluded life of prayer. This means steadfast attention to communal and private prayer. Prayer holds the first place in our daily life: nothing must be preferred to this activity. The Mass, in which the sisters participate daily, is the foundation and center of the community, which strengthens their union and mutual charity. The liturgy of the Mass also fosters a celebration of peace and joy. Benedictine spirituality is founded on silence, holy reading and prayer. 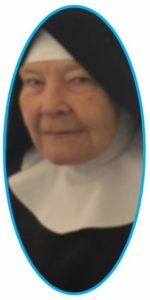 RECENT PICTURES OF NUNS AS OF FEB 10, 2017, IN THE NEW VEIL. 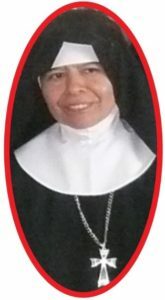 Sister Stephen, made 1st Profession of vows on November 17, 2018. Please pray for her. On July 11, 2018, Bishop James Wall, Bishop of the Gallup Diocese, received Sister Mercy’s 1st vows. We give thanks to God! 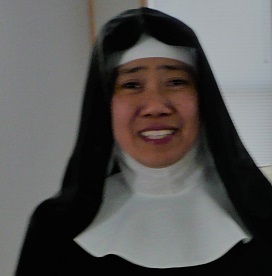 On February 9, 2019, we welcomed Sister Scholastica (above with Prioress Hilda) as our new Novice. We ask that you pray for her perseverance in our way of contemplative life. 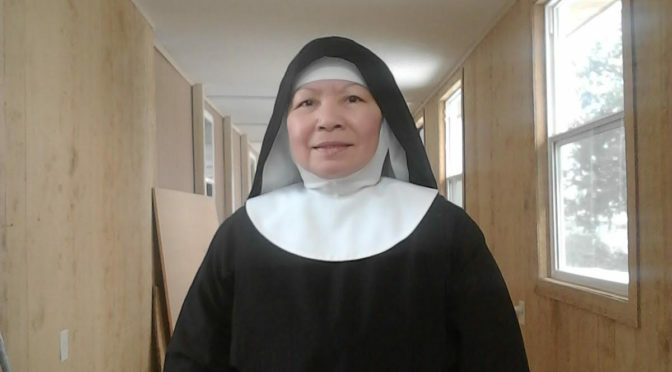 A Dominican Sister, Sister Maria My Linh, arrived with permission of her Superior General, in Vietnam, as a Transfer Sister, on June 26, 2018. On December 24, 2018, with the approval of our Chapter and Jamberoo Abbey, Sister Maria is now accepted for the first stage of probation for 18 months. Please pray for her! ARE YOU CONSIDERING A MONASTIC VOCATION? A vocation is who God has “called” us to be. All of the baptized possess the vocation of the universal call to holiness and service in the Church. The US Bishops’ Secretariat of Clergy, Consecrated Life and Vocations has recently promoted a new website about vocation resources. ForYourVocation. This website is dedicated to the promotion of vocations to the consecrated life of women. We do not accept women younger than 20 years of age to live in the Monastery or not older than 50 years of age. Women who are practicing Catholics, free of debts, who do not have children and are unmarried, who demonstrate a healthy psychological and religious balance may be considered as candidates for our life. For more detailed information and/or questions, let us know.